People everywhere grapple with exhaust fumes and carbon monoxide, industrial organic compounds, tobacco smoke and unpleasant smells. 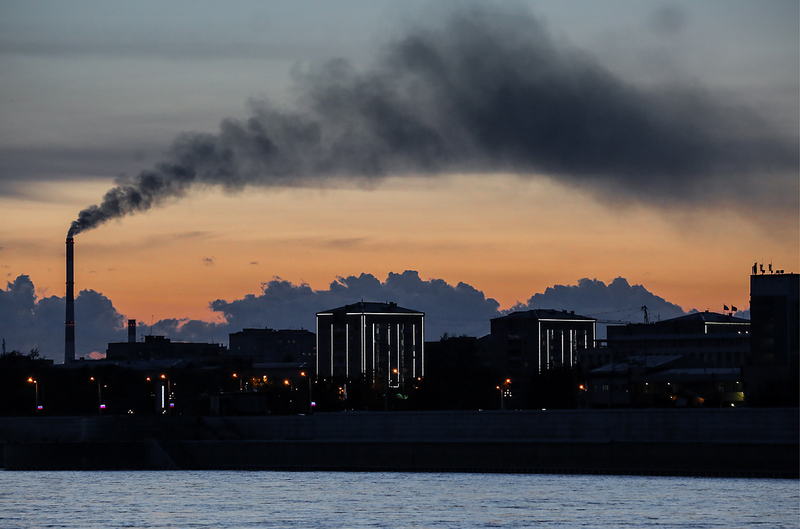 Physicists at Moscow State University invented a powerful new technology that removes dangerous pollutants from the air. People everywhere grapple with exhaust fumes and carbon monoxide, toxic household and industrial organic compounds, tobacco smoke and unpleasant smells, as well as with viruses and pathogenic bacteria. To neutralize these airborne nuisances and threats various filter systems are used, from mechanical to coal. Photocatalytic filters, which have a porous titanium dioxide membrane, can also be used. When subjected to ultraviolet light this type of filter forms active atomic radicals that neutralize pollutants. It also breaks down harmful substances and forms antiseptic molecules of hydrogen peroxide that are mold-resistant. The main disadvantage of photocatalytic purification is the use of mercury UV lamps that have highly toxic vapors. The technology created by MSU scientists, however, can replace such hazardous materials. “To get rid of hazardous lamps we tried to invent a catalyst that would be sensitive to natural sunlight or run on ordinary incandescent light bulbs,” said Elizaveta Konstantinova, a professor at the MSU Physics Department. Thanks to a surface treated with a high concentration of chemically active radicals, nanocrystalline titanium dioxide works as an effective photocatalyst. Scientists added nitrogen and carbon residues to it, and this nanomaterial not only became a powerful photocatalyst but also did a better job purifying air. How to make a filter from this material? Scientists propose making it from sintered glass balls that are 0.1 millimeter in diameter, or in the form of a flat surface. The latter can be treated with a nanocrystalline titanium dioxide powder that has nitrogen and carbon additives. Polluted air is either forced through a porous membrane, or comes into contact with its flat surface lit by a visible lamp or natural light. Zaytsev added that this technology could even be used to make anti-bacterial wall paint. “The entire surface of a room could work like an air filter, whereby visible light destroys organic molecules and kills germs,” he said. Such highly effective filters could be used to decontaminate living quarters and medical facilities.